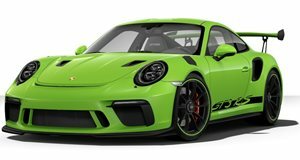 The German version of AAA, ADAC, figured it’d be a fun idea to buy a 300-Euro Lego Porsche 911 GT3 RS, put it together, and then promptly smash it to smithereens in a crash test. All 2,700 bits of Lego go in a multitude of directions upon impact. The miniature Porsche is said to have reached a top speed of about 28 mph. ADAC says the project was done in coordination with Computer Technic magazine, and the test was conducted at its track in Landsberg. They just wanted to see what would happen because why the hell not. The glorious result shouldn’t come as a surprise to anyone. However, the ADAC experts predicted a different weakness in the Lego Porsche than what the results ultimately showed. “The result was impressive and different than expected,” stated head of the crash system Johannes Heilmaier. “The chassis of the car had no problems with the high speed, and there were very little damaged stones on impact. It was almost exclusively the click connections between the components.” In any case, have fun watching this thing get destroyed in slow motion over the next couple of minutes. Well worth your time.